News News Article - It's Almost Time for the Scarecrow Stroll! The Scarecrow Stroll, an annual Fall tradition in Downtown Heber Springs, is planned for October 1 through October 20. This annual event brings families from around the area make the annual trek to downtown to check out the scarecrows and take pictures with their favorites. Businesses downtown and around town are encouraged to participate and help with decorating downtown for the Fall season! If an application is submitted for a business, club or organization that is not located in the Downtown District, that scarecrow will be assigned a spot on Main Street or on the Courthouse Square to display their scarecrow. Participating businesses or clubs may include a small sign identifying their sponsorship of the scarecrow. There will be two opportunities for participants to win prize money. First, a Judges’ Choice Award: Scarecrows will be judged by a panel of judges on creativity and originality. Second, a People’s Choice Award. The people’s choice award will be chosen by a Facebook “likes” contest. Photos of all scarecrows will be posted in a dedicated album on the Downtown Heber Springs Facebook page. All photos will be posted by 6:00 pm on Wednesday, October 3. The scarecrow with the most “likes” by 8:00 pm on Saturday, October 20 will be declared the winner of the People’s Choice Award. Winners of both categories will be announced on the Downtown Heber Springs Facebook page no later than 12:00 noon on Monday, October 22. Prize Money will be determined by the number of entries received. All prize money will be evenly divided between the two winners. 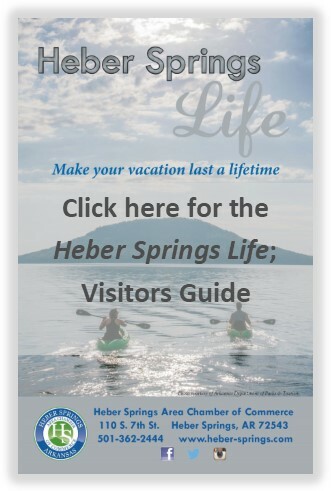 For more information, rules and to download the application to participate, visit www.downtownhebersprings.com and click on the Happenings page.